Born in PAFB Hospital, Florida on August 24, 1966. Dawn Earley Stahlman passed away unexpectedly on Nov 17th 2018. Dawn was the loving wife of Paul Stahlman and a very proud, loving and dedicated mother of Tristan Stahlman. She was highly involved in supporting GWMLL (Greater West Melbourne Little League) and Space Coast Stingers traveling All-Star baseball team. She will be greatly missed by all. Funeral services and Mass will be conducted Saturday Nov 24th 10:00am at St. Joseph’s church 5310 Babcock St. Palm Bay FL. 32905. Funeral services will be held by Brownlie-Maxwell Funeral Home in Melbourne. Dawn was born on August 24, 1966 at Patrick A.F.B. Hospital. She graduated Satellite Beach High school and continued on to receive an Associate’s degree in Business. Dawn married Paul on October 14th 2000 and had a wonderful 18+ happy years together. 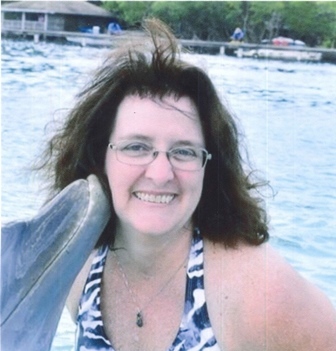 Dawn worked at Harris Corporation as a Contract Administration Assistant for 15+ years. Dawn is survived by Husband Paul and Son Tristan, Mother Anne Earley (Butch Carr), Siblings Tracey Coleman (Jim), Frank Earley Jr., Kathy Carr Gehring (Scott) and is predeceased by her Father Francis E. Earley. Dear Tracey and Family, I am so sorry for your loss. Please accept these kind words and my love during this difficult time. Dawn was so helpful and easy to work with. ..she will be missed. Deepest sympathy to her family. A thoughtful, personable, dependable and discrete Teammate, Dawn will be deeply missed. No words can express our grief for this sudden loss. Dawn and her family will be in my thoughts. Our deepest condolences. Dawn was so welcoming and helpful when my family moved here. She was great valued and will be even more greatly missed. My deepest sympathy to the Stahlman Family on the passing of Dawn. May her memory be eternal.